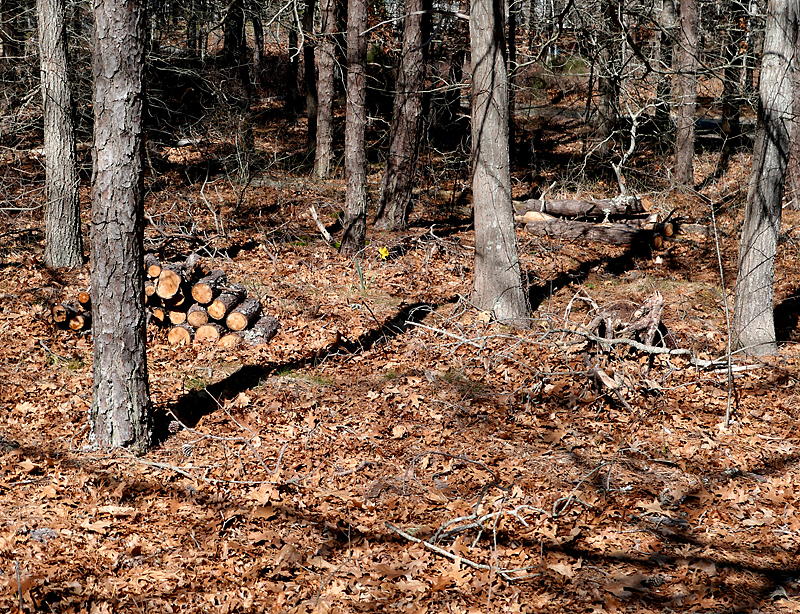 I am always surprised to see a little glimpse of yellow in the woods behind our house at this time of year. (2nd photo is of the Daffodil in the woods.) 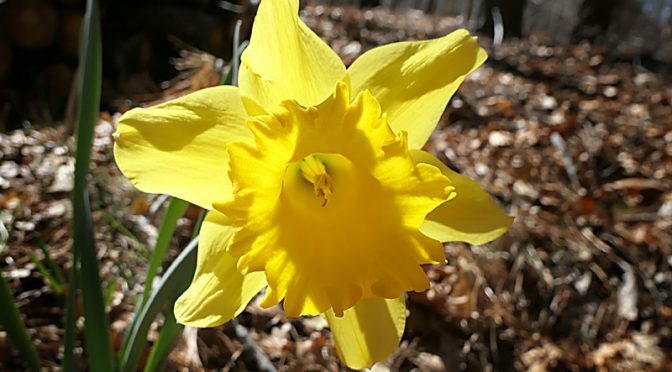 It is the one Daffodil that faithfully grows there each year and lets us know that spring is surely coming. Can you see it? So pretty, don’t you think? 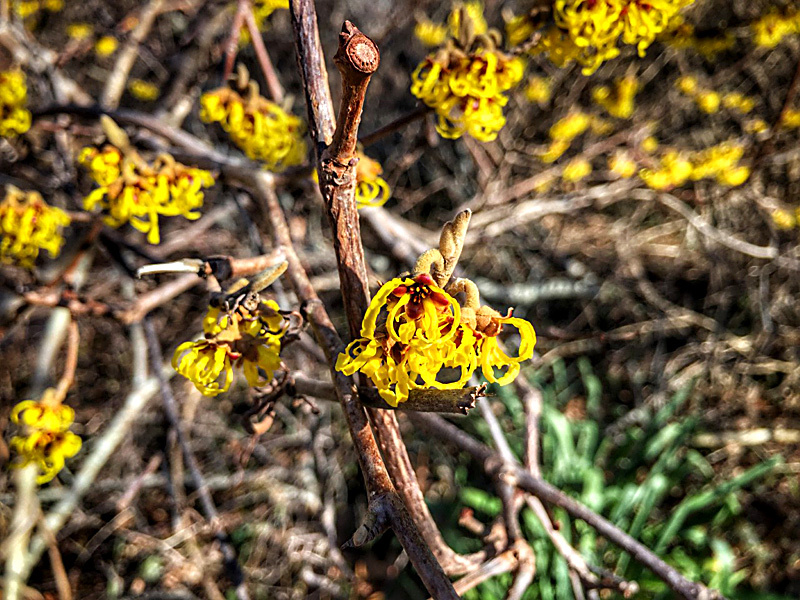 Witch Hazel, My First Wildflower of The Year On Cape Cod! 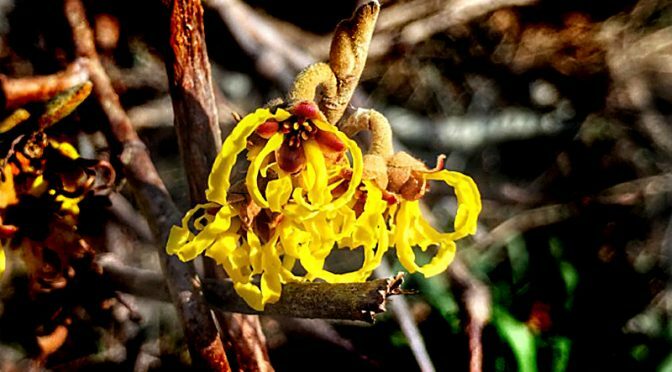 Witch Hazels are deciduous shrubs and are in the flowering plant family. 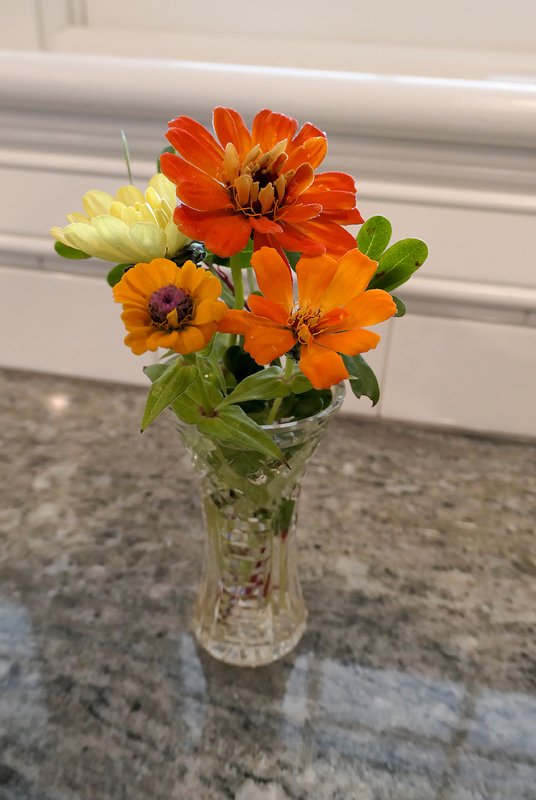 Each flower has four slender 1/2″ strap-shaped petals which are dark yellow, orange, or red. The fruit is a two-part capsule containing a single 1⁄4 inch glossy black seed in each of the two parts. This is really cool… “The capsule splits explosively at maturity in the autumn about 8 months after flowering, ejecting the seeds with sufficient force to fly for distances of up to 30 feet. That is amazing! So cool to see a flower blooming in the middle of winter and one that I’ve never seen before! 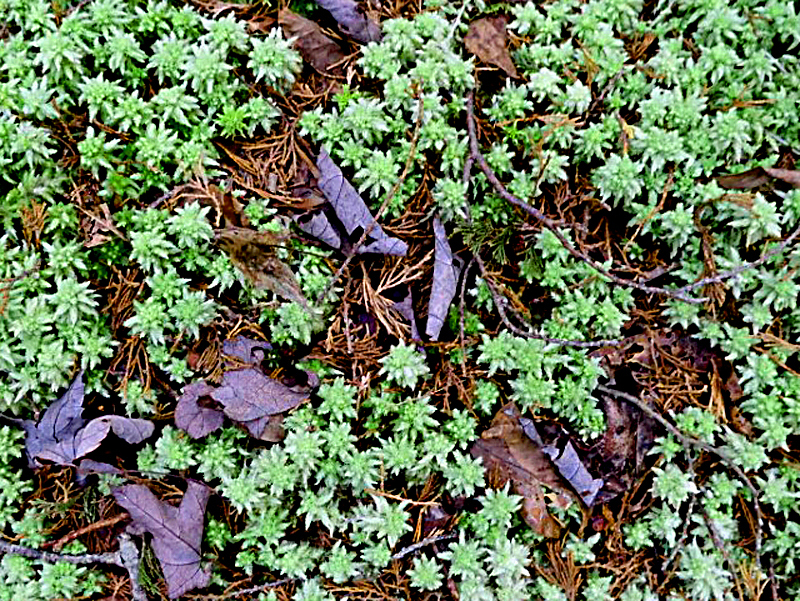 It is so cool to see all of the green “moss” on the White Cedar Swamp Trail in the middle of winter. You don’t expect to see anything green or growing at this time of the year. I took a macro so you could see it closer. The plants are only about an inch tall. 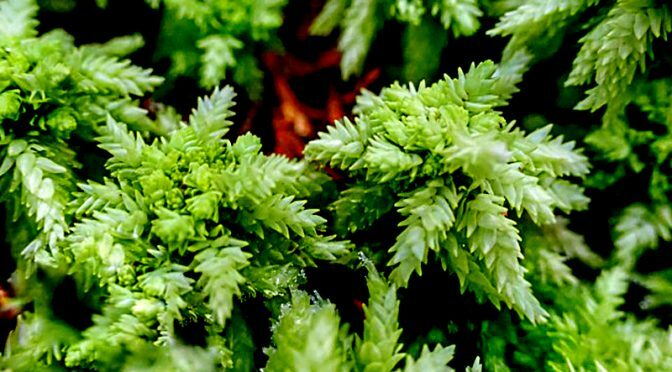 Does anyone know what kind of moss or plant this is? Beautiful Orange Oriental Bittersweet At Fort Hill On Cape Cod. 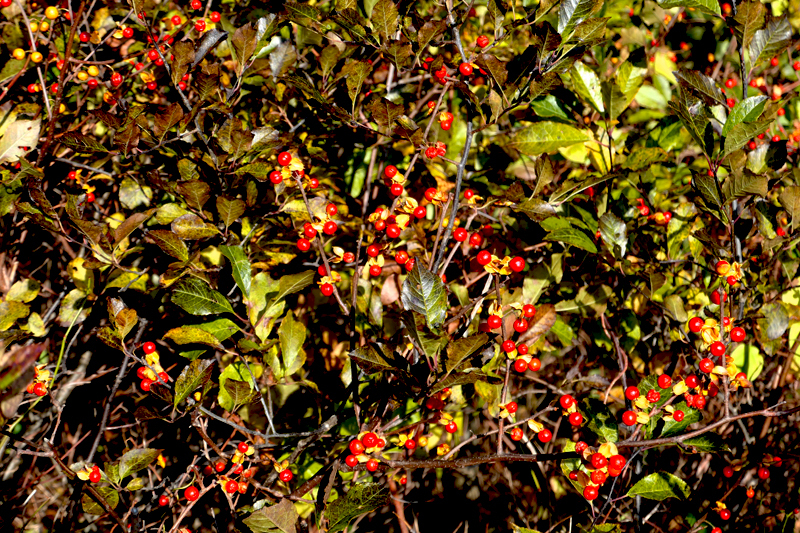 I get very nostalgic whenever I see Oriental Bittersweet vines with bright orange berries growing along the trails at Fort Hill. When I was little, my mother would take us out and gather the long vines which she would weave into a gorgeous fall wreath for our door. 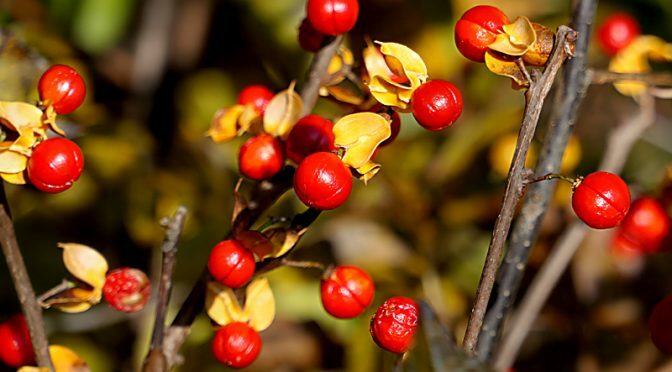 Oriental Bittersweet has a twining woody vine with tiny green flowers which grow into clusters of showy bright orange-scarlet berries with yellow leaves. Have you ever seen an Oriental Bittersweet? The berries are exquisite! 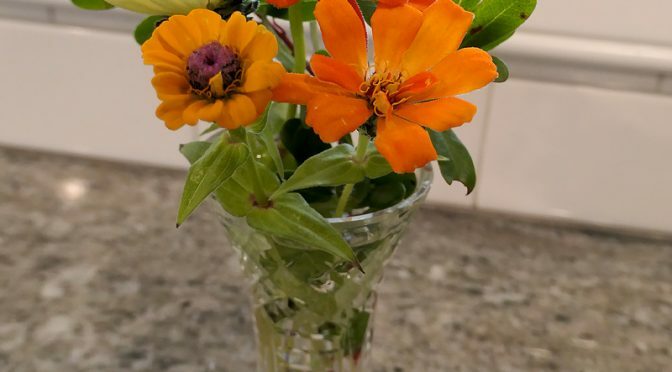 I Finally Cut The Last Of My Zinnias Here On Cape Cod! So, I thought I’d share them with you! May this brighten your day, especially if you live on the east coast! Slender Fragrant Goldenrod Wildflowers At Fort Hill On Cape Cod. I never knew there are so many different varieties of Goldenrod wildflowers. Wow! I saw this Slender Fragrant Goldenrod a couple of weeks ago while hiking at Fort Hill. Although I’ve seen Goldenrod for years and years, I don’t remember seeing this one before. It looked so delicate. Slender Fragrant Goldenrod has 1/4″ tiny yellow flowers that form a flat-topped cluster at the top of the plant, which grows 1-2 feet. They bloom from July through October on dry sandy soil and fields. 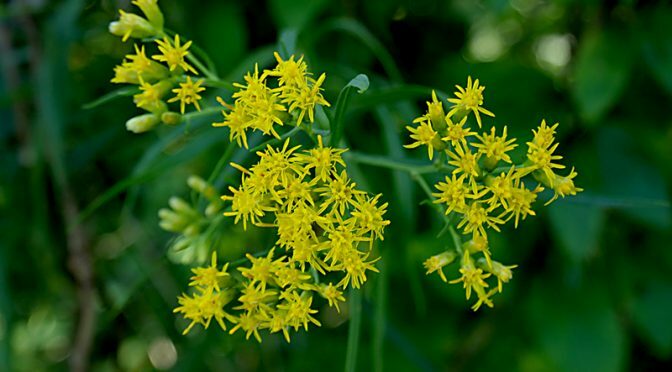 Have you ever seen a Slender Fragrant Goldenrod?